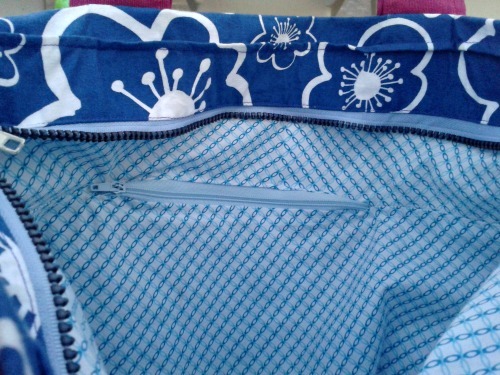 Patshyn Catrin: My first bag! It's been over a month now since I wrote my Finish-A-Long Q3 goal setting list and I can finally say that I've finished one of my goals although it doesn't actually qualify for the FAL as I hadn't started it before the quarter started. As I stated in my FAL list my husband bought me this bag for Christmas one year and it's gotten a LOT of use since then. It's the perfect size for going shopping with the kids, carrying that extra packet of wipes, spare packet of raisins etc. It was also the perfect size for going to work - I could fit in my lunch, plenty of cans of diet coke and I sometimes even managed to carry a file or two! But if you look at the handles you can see that it's started looking a little rough. I'd had a good look around the shops but couldn't find a similar bag in colours that I liked, soooooo there was only one thing for it, I'd have to make my own! I already had the Lotta Jansdotter Echo print in my stash but thought that a heavier weight fabric would be better for the bottom of the bag. I happened to be in Ikea one day and saw this raspberry coloured home dec fabric and thought that it would go quite well with the Echo - I was right! So these sat in my sewing room for a while waiting for me to get round to using them (all the while complaining that my interim handbag was far too small!) Then the day before going to Birmingham for the Festival of Quilts (yes I did go, no I'm not over it yet!) 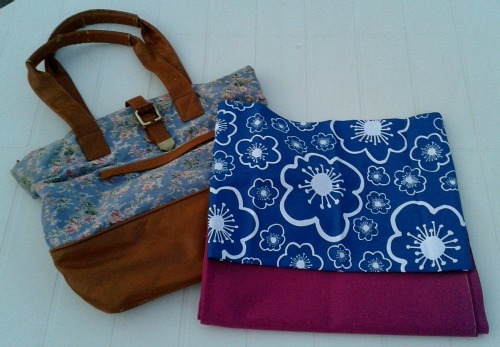 I decided I couldn't go without something me-made and needed a bag big enough to carry the fabric that I 'might' buy! So I set Anwen up with her paints on the kitchen table and put Marged down for her nap and got going. A zip from an old fleece coat that my aunt had cut off when she threw the coat away, thinking that I might find a use for it one day, well it had now been around ten years and I'd completely forgotten about it but I found a use for it! 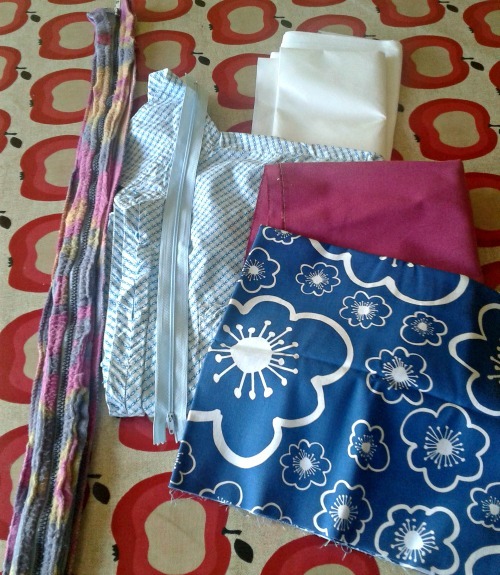 I also needed lining fabric. 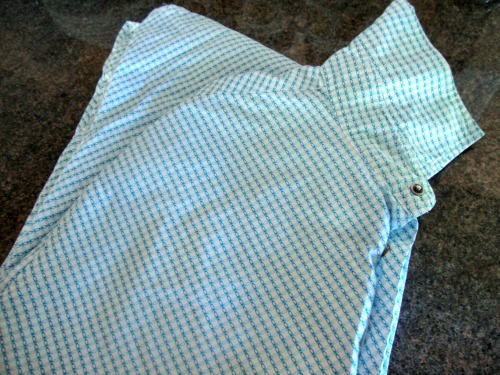 I toyed with the idea of using an old duvet cover but then remembered this shirt that my mum had found in a car boot sale. I love the print and think that using it somewhere where I'll see it everyday is great! And where I stopped taking pictures! 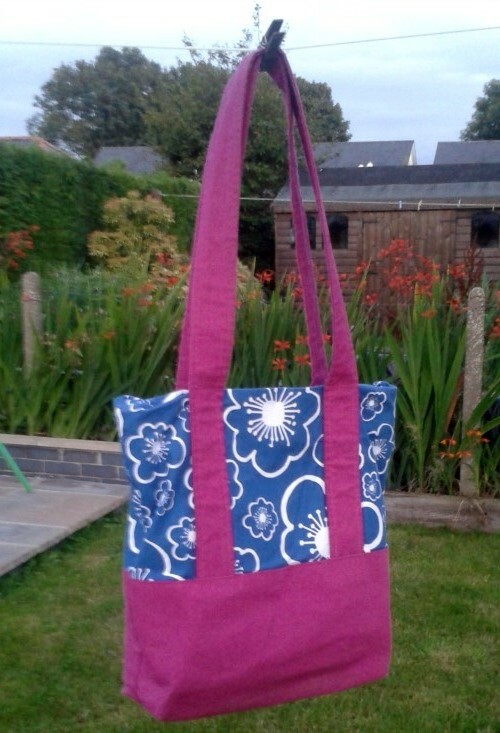 I made the pattern up as I went along, using the original bag as a size guide adding an inch or two here and there. And this is the finished article! 1. Always buy more interfacing than you think you're going to need - I had to use three offcuts of interfacing on one of my fabric panels as I didn't have a piece big enough left. 2. 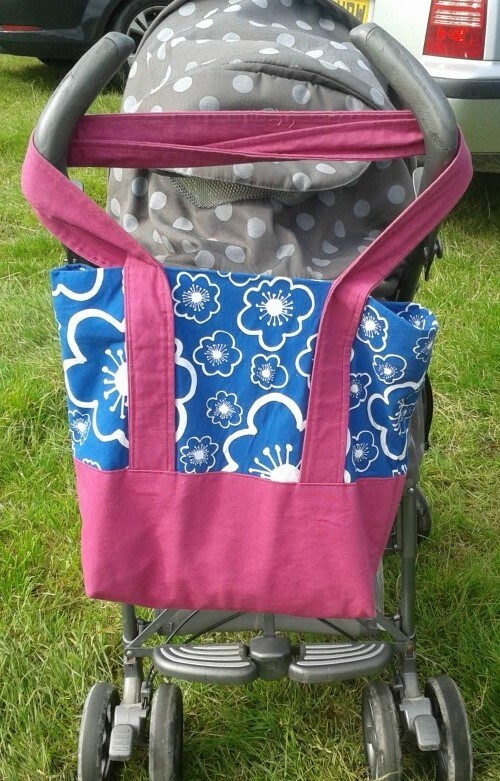 Think twice before making bag handles that you have to turn from inside out to right way out - I'd used interfacing in the handles to give them extra strength and they were VERY stiff to turn - took me around two hours to make the handles start to finish! 5. 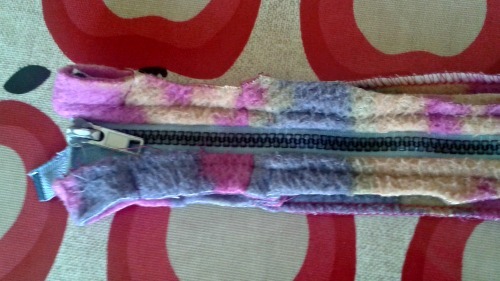 The weight of the chunky zip is going pull the top of the bag down so topstitch inline with the handles not an inch above. 4. Change your needle more often! I thought that the skipped stitches were down to my machine not being able to cope with the extra work. I changed to a Denim needles and not a single stitch was skipped thereafter. Great bag and great upcycling too. Lovely bag and a great reuse of a zip and shirt. I love the colour combo.